This page shows the latest Newron Pharma news and features for those working in and with pharma, biotech and healthcare. maintaining the high output from pharma industry pipelines of the last few years. ... neprilysin inhibitor. Novartis. USA. safinamide. Xadago. Parkinson's disease. MAO-B inhibitor. 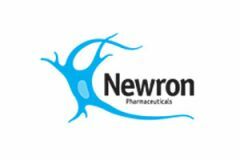 Newron Pharma.